The Galaxy series has been Samsung’s claim to fame in recent years covering a variety of mobile devices. According to a new rumor, a new member will be joining the Galaxy family next month, but it isn’t the heavily anticipated Samsung Galaxy SIV. Next month is the Mobile World Congress conference, and Samsung is set to make an appearance. 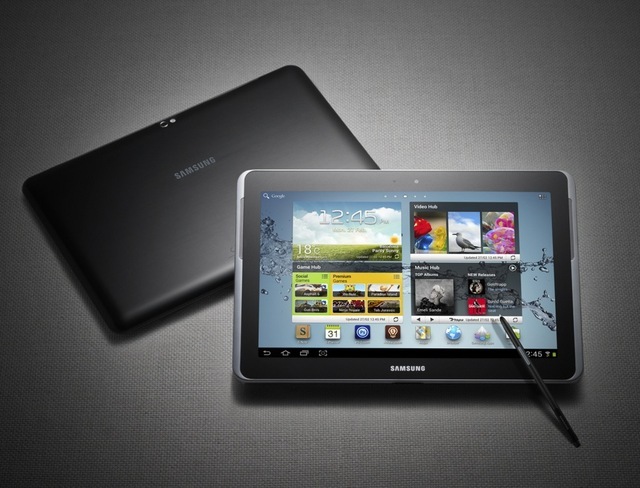 According to SamMobile, Samsung will be using the event to launch their new Galaxy Note 8.0 tablet. The Galaxy Note 8.0 will reportedly feature an 8-inch 1280×800 Super Clear LCD display as well as a 5-megapixel rear camera and a 1.3-megapixel front-facing camera. The device will have 2GB of RAM and 16GB to 32GB of internal storage but with slots to add additional memory. As far as dimensions go, the Galaxy Note 8.0 is rumored to be 8.3 inches long, 5.4 inches wide, and 0.3 inches thick. On the software end of things, it will run on Android 4.2, also known as Jelly Bean. The Galaxy Note 8.0 will also sport the signature feature of the Galaxy Note subseries; the S-pen. Samsung reintroduced the use of a stylus for both its tablet and smartphone lines, and it would be no surprise if they did so with the Galaxy Note 8.0. The device could provide a boost to Samsung’s tablet sales which have been fighting an uphill battle against Apple’s iPad and the newly announced iPad Mini. In fact the Galaxy Note 8.0 could be a direct response to the iPad Mini. Samsung already has the Galaxy Note 10.1, and thus may be looking to release a smaller tablet to stay competitive in the market. The Mobile World Congress is certainly an appropriate locale to unveil some new hardware. However, SamMobile didn’t cite any source so it isn’t clear where this information came from. Whether this rumor holds up will be determined at the conference next month.